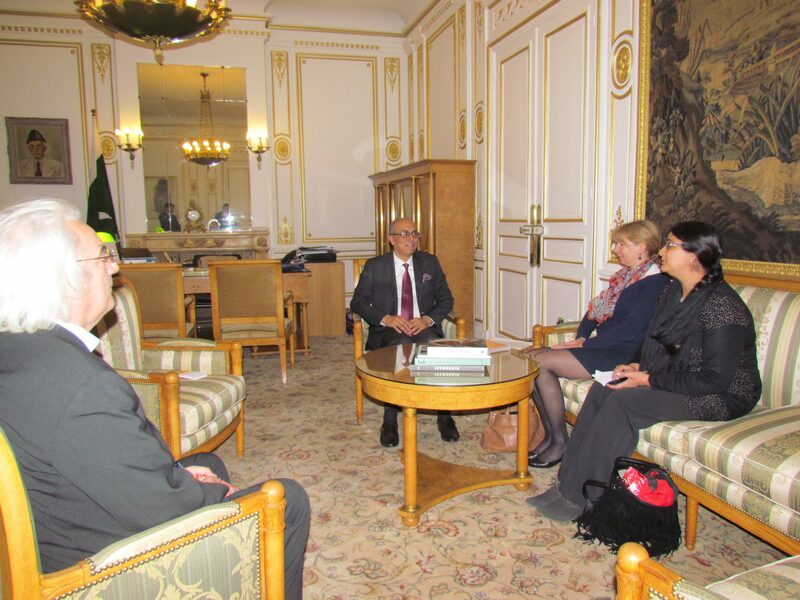 Paris 19 December 2016: Madam Marie Chaorlotte Nouhaud the Mayor of Avon and Mr. Etienne Baltaille, Cultural Attache of Avon (a city of France near Paris) called on the Ambassador of Pakistan to France Moin ul Haque in the Embassy of Pakistan in Paris, today. 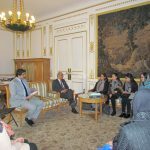 The Ambassador said that Embassy of Pakistan to France will fully support and help the Avon Town Hall in its plan to celebrating Independence Day of Pakistan-2017 in the most befitting manner. He appreciated the idea of the Town Hall and said that this event will provide Pakistan with an opportunity to showcase Pakistan’s rich social and cultural values and progress and development which are currently taking place in Pakistan. The Mayor informed the Ambassador that Town Hall (Mairie) of Avon has planned to celebrate upcoming Independence Day of Pakistan in September, 2017. She said that in this regard Town hall plans to setup authentic Pakistani food stalls, Cultural shows, music concert, photo and calligraphic exhibitions, Pakistani Film shows and other such cultural activities. The Ambassador also accepted the invitation of the Mayor to visit Avon to further fine-tune the proposal. Paris, 17th December, 2016. 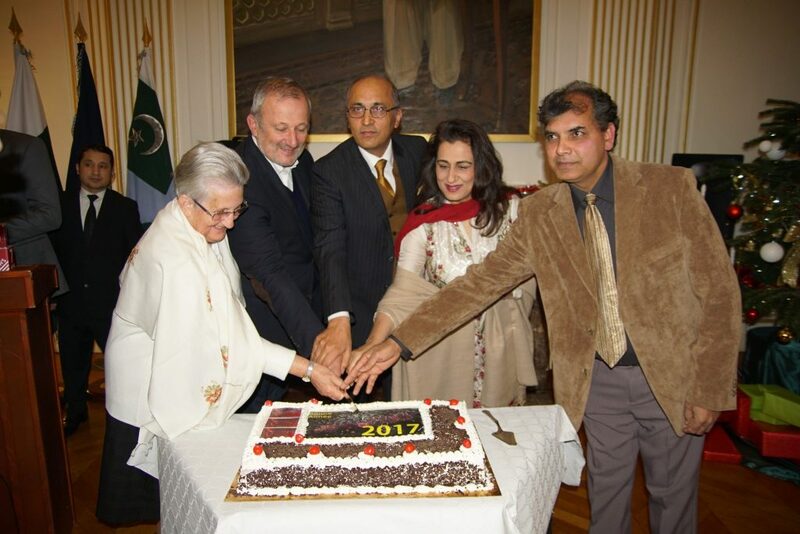 The Embassy of Pakistan in France hosted a Christmas dinner in Paris, today. A large number of members of faith leaders, Pakistani French Christian community and as well as Parliamentarians, officials of French government, faith leaders, civil society representatives and media attended the event. The speakers on the occasion recalled the teachings of Jesus Christ, who was sent to this world as a symbol of peace, brotherhood and respect for the entire humanity. He not only healed the ailing humanity but preached the divine values of tolerance, love and compassion. 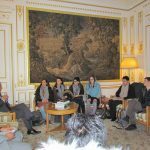 Mr. Francois Pupponi, the President of France-Pakistan Friendship Group in the National Assembly of France who was the chief guest on the occasion appreciated the role of the Pakistani community as responsible citizens of France. He also spoke about strong bilateral relations between France and Pakistan and expressed his confidence that they will continue to grow further in coming days. 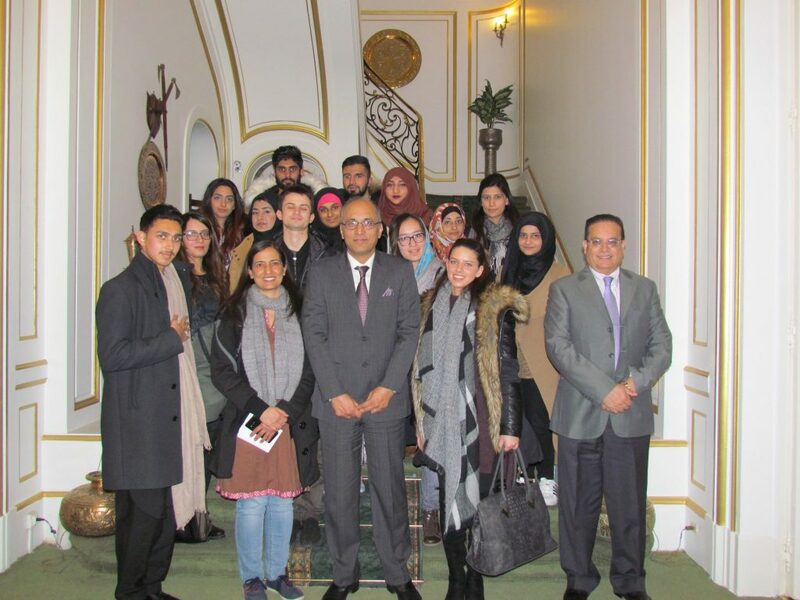 The Ambassador of Pakistan to France Moin ul Haque conveyed felicitations and good wishes to the participants and their families on the festive occasion. 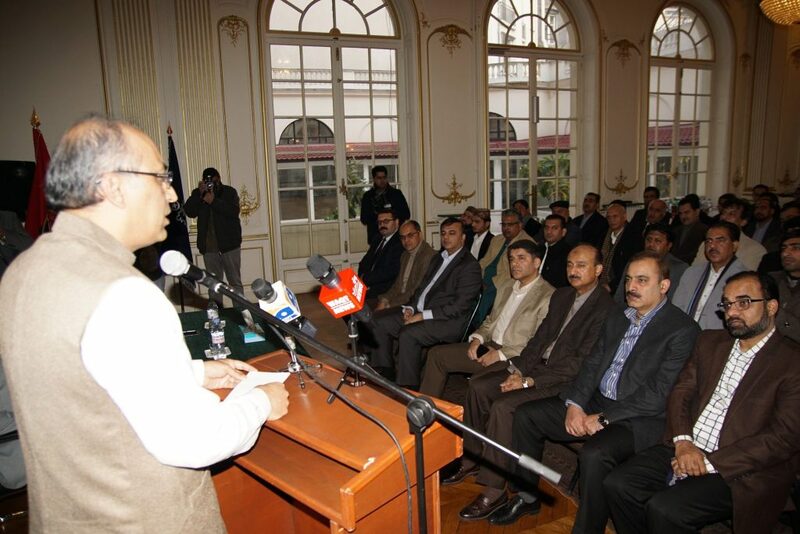 He said that Pakistan is fully committed to safeguarding the rights and privileges enjoyed by all minorities. He noted that the Christian community in Pakistan is playing its due role in the national development, progress and prosperity as equal citizens. He underlined the importance Islam gives to respecting all faiths and emphasized the need for mutual respect, understanding and dialogue in these challenging times. 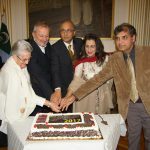 The leaders of Pakistani Christian community in their speeches said that Christmas is a time for celebration and rejoicing for Christians all lover the world. 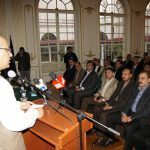 They appreciated and expressed their gratitude to the Embassy for holding this event. A special Christmas cake was cut on the occasion. A group of young children also presented a cultural performance at the event. 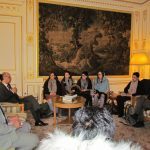 A Group of 15 students from Urdu section of National Institute of Oriental Languages and Civilizations, Paris (INALCO) met with the Ambassadar of Pakistan to France Moin ul Haque in Paris France on 16th December, 2016. 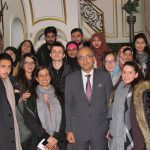 While talking to the students, the Ambassador said that Urdu although is a young language but it very rich and dynamics. He said some of the world’s best poetry has been written in Urdu. 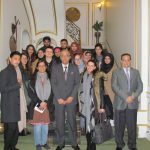 Ambassador also invited the students to take part in the cultural activities organized by the Embassy from time to time. INALCO founded in 1669 as language of youth school turned INALOC in 1971 is France’s most prestigious research and higher education institutions. It offers language and civilization courses from the undergraduate to the doctorate level. 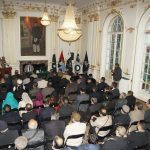 The Embassy of Pakistan held a Naat Khawani to celebrated Eid Milad Al Nabi in Paris, today . Members of Pakistani community and officials of the Embassy attended the Eid Milad Celebrations. 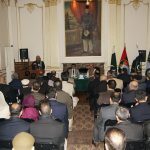 The Ambassador of Pakistan to France Moin ul Haque in his concluding remarks said that the life and teachings of the Prophet (peace be upon him), were beacon of light for the entire humanity. He said that Prophet Muhammed’s (peace be upon him) message revealed to the humankind through Quran and his own life was about peace, tolerance and moderation and peaceful co-existence with followers of other religions. 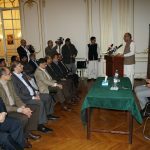 He urged the Pakistani community in France to lead an exemplary life by practicing teachings of the Prophet as better human being and a better Muslim. At the end of the Milad, special prayers were offered for the continuous peace, progress and prosperity of Pakistan and the world. Paris 7th December, 2016. Pakistan has joined the rank of 70 member countries of Open Government Partnership (OGP). This was announced by Senator Mohammad Ishaq Dar, Pakistan’s Federal Minister for Finance and Economic Affairs at the opening ceremony of the 3-day 4th OGP Summit held in Paris, today. 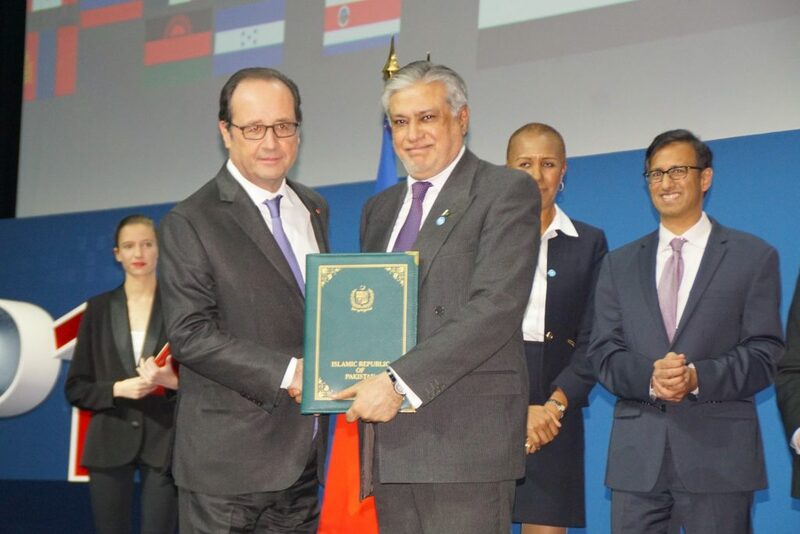 He handed Pakistan’s Letter of Intent to join OGP to the President of French Republic in the inaugural ceremony of the Summit which was chaired by the French President. Few other countries including Luxembourg, Morocco, Burkina Faso and Jamaica also announced their decision to join OGP. During his announcement speech, Finance Minister reiterated Pakistan’s commitment to the four key principles of OGP including fiscal transparency, access to information, asset disclosures and citizen engagement. He further added that Government of Pakistan has pledged to work against corruption and fiscal fraud and is prepared to make further high level commitments to fully achieving and sustaining the Principles of OGP. The Summit aimed at promotion of transparency, accountability and citizen participation was attended by a large number of Heads of State and Governments, Ministers and civil society representatives to push forward the open government agenda in light of the global challenges. 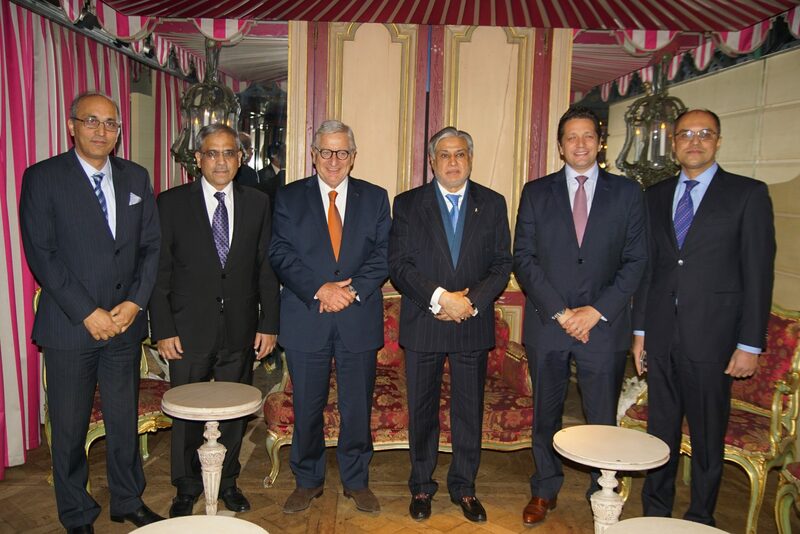 Later Finance Federal Minister Dar attended a Reception hosted by French Foreign Minister Mr. Jean Marc Ayrault. OGP was launched in 2011 to provide an international platform for domestic reformers committed to making their governments more open, accountable and responsive to citizens. Since then, OGP has grown from 8 countries to the 70 participating countries including USA, UK, France Canada, Indonesia, Turkey and Sri Lanka. 9th November, 2016. 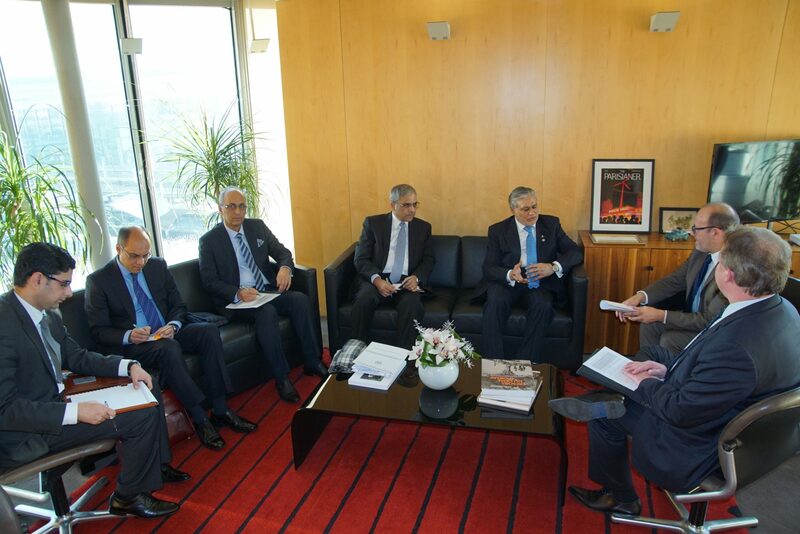 Senator Mohammad Ishaq Dar, Pakistan’s Minister for Finance and Economic Affairs met with Mr. Remy Rioux, Chief Executive Officer of French Development Agency (AFD) in Paris yesterday. The CEO of AFD appreciated the progress that Pakistan has made in stabilizing economy and taking it to a higher trajectory of growth. During the meeting, Finance Minister said that Pakistan values the financial assistance provided by AFD to Pakistan in important sectors including energy, water and sanitation. He added that Pakistan government appreciates AFD’s support for GoP initiatives for improving the transmission efficiency and water and sanitation in Pakistan. AFD announced that for the year 2016, it has approved a portfolio of Euros 265 million as soft loans for Rehabilitation of Mangla Hydropower plant, augmenting NTDC transmission capacity and budget support for energy sector reforms. AFD has joined ADB and JICA in the 5 year budget support program initiated in 2014 for improving the management of tariff opening the market and strengthening accountability and transparency in the energy sector. AFD also evinced interest in working in the sectors of heritage and culture. AFD has been operating in Pakistan since 2007. It is promoting green and inclusive growth and has been focusing on renewable energy and energy efficiency projects. Mr. Sanjay Pradhan, Chief Executive Officer, Open government Partnership (OGP) called on the Finance Minister in the Embassy of Pakistan and congratulated Pakistan on joining the elite group of members of OGP. 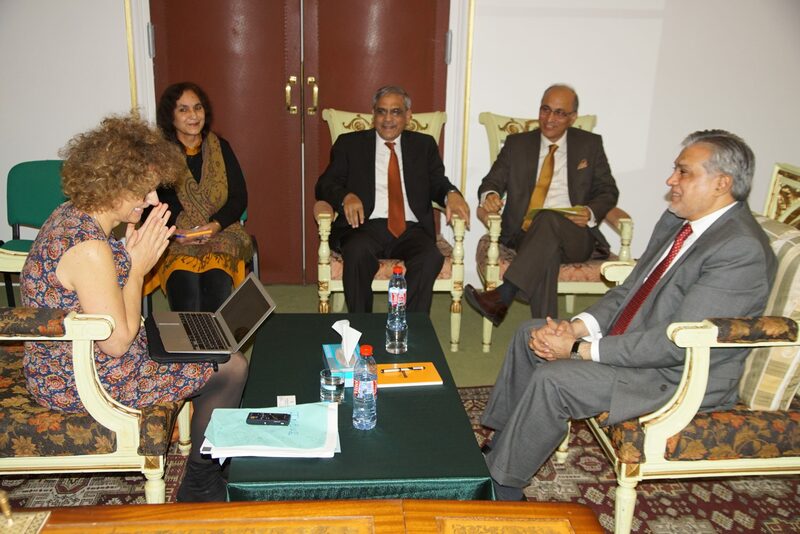 He invited Pakistan to participate in the meetings of various OGP Working Groups and Steering Committees and offered help in developing Pakistan’s National Action Plan for OGP. The Finance Minister said that Pakistan’s decision to join OGP demonstrates government’s commitment to a transparent and accountable governance. He reiterated government’s pledge to work against corruption and fiscal fraud and further high level commitments to fully achieving and sustaining the principles of OGP. Mr. Bernard Cambier, Head of Middle East Division of Renault, the French largest car manufacturing company also met with the Finance Minister. They reaffirmed Renault’s decision for setting up their car manufacturing facility in Pakistan by 2018. Finance Minister appreciated Renault’s decision for choosing Pakistan for establishing their car facility and assured full support for Renault’s operations in Pakistan. 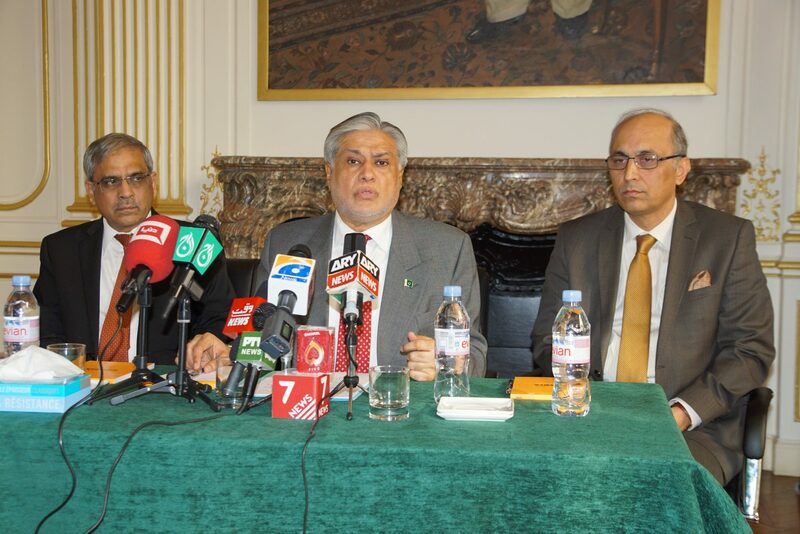 Finance Minister also interacted with French and Pakistani media and briefed them on the outcome of his visit. The meetings were also attended by Mr. Tariq Bajwa, Secretary Economic Affairs Division, Pakistan, Ambassador of Pakistan to France Moin ul Haque and the Embassy team. Paris, 10.12.2016. Concluding his official visit to Paris, Senator Mohammad Ishaq Dar, Finance Minister met with French Finance Minister Michel Sapin yesterday. This was his second meeting with French counterpart in the last three months. 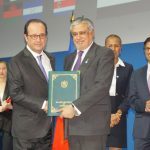 Minister Sapin congratulated the Finance Minister on joining the Open Government Partnership process. He also appreciated the ratification by Pakistan of the OECD Convention on Mutual Assistance on Tax Matters. The Finance Minister apprised him of the importance Pakistan attached to transparency in public matters and his intention to make Pakistan a member of OECD Convention against Bribery in due course. The Finance Minister briefed Minister Sapin on the turnaround of Pakistan’s economy in the last three years, macroeconomic stability, and improvement of energy and security situation in the country, which has provided a conducive atmosphere for foreign direct investment. 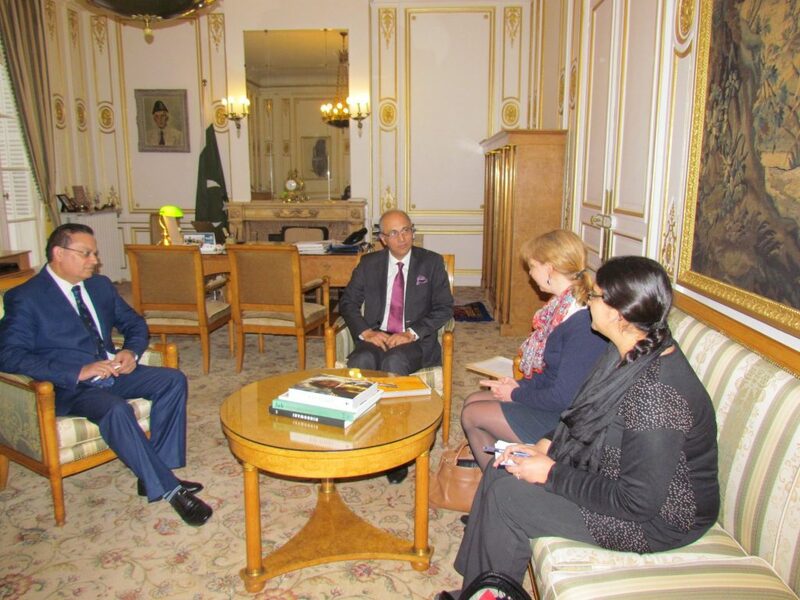 Mr. Sapin acknowledged Pakistan’s economic achievements and expressed hope that the journey towards further progress and development would continue. Both the Ministers also discussed trade, economic and investment relations between the two countries. 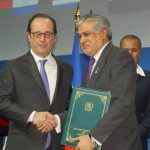 While expressing satisfaction over the upward trajectory of bilateral relations, including decision by French automobile company Renault to start manufacturing vehicles in Pakistan, they emphasized the need to further strengthen ties through the institutional mechanism of Administrative, Economic and Trade Committee (AETC). They agreed, in principle, to upgrade AETC to Ministerial level. 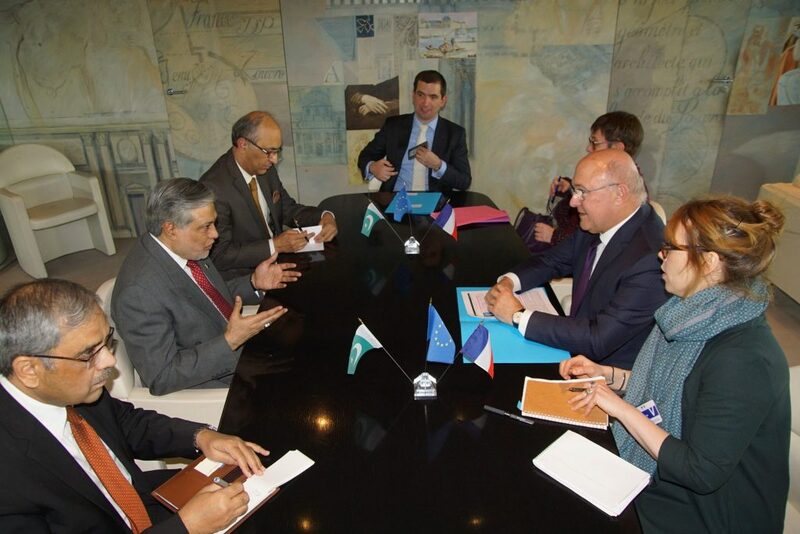 The Finance Minister invited Mr. Sapin to visit Pakistan to co-chair the next meeting of AETC. Prior to that, both sides would meet early next year at Secretary level to prepare the ground for the Ministerial meeting. 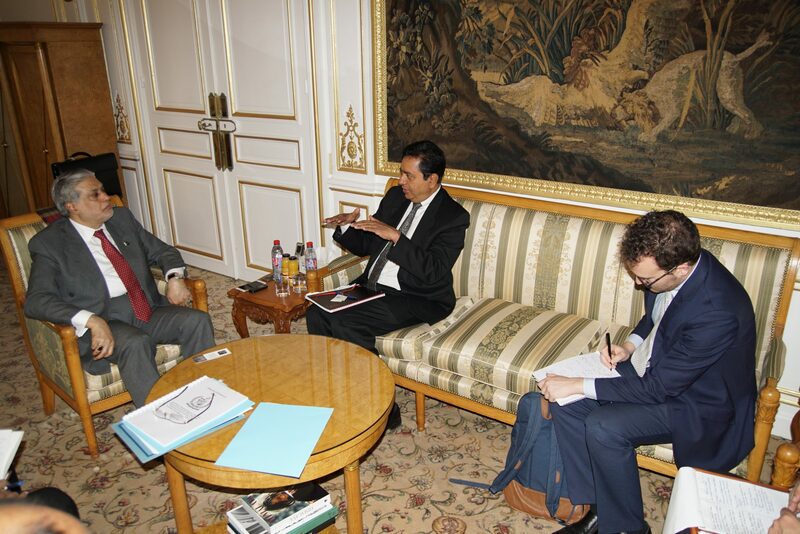 Secretary Economic Affairs Division and Ambassador of Pakistan to France were also present at the meeting. The Embassy of Pakistan, Paris has received some complaints about malicious telephone calls harassing members of the Pakistani Community. [ulist style="2"]In case such a call is received, immediately call back on the Embassy exchange for verification and registration of your complaint.